This Weekend – Playhouse 2, Shaw (near Oldham)! Hello Genesis fans and all. After a fairly long break, we’re back! 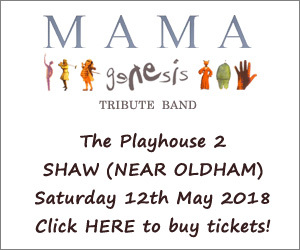 This weekend, Saturday 12th May 2018, we’ll be appearing at The Playhouse 2 Theatre in Shaw, which is near Oldham. We’ve performed at this venue a number of time in the past and it always sells out. Right now, there are just a few tickets left so if you want some, head over to the box office and grab them. And if they’re sold out online, you could always try the high street box office which is located just around the corner from the theatre. In other news, we have an interview with Dave, our bass player. Read on…. Mama Website: Hi Dave! How are things? Dave Jones: Things are just fine thanks. MW: Any Mama related news you can share with us? 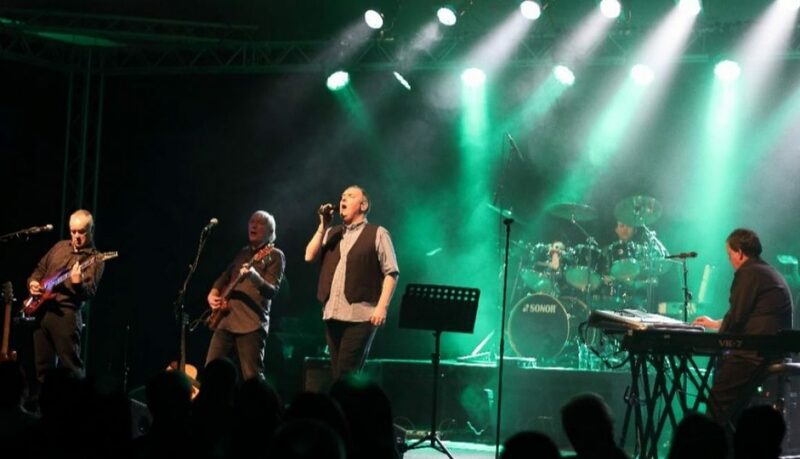 DJ: The band will be back on the road soon with a show at The Playhouse, Shaw, Oldham in May and this could be – I say could be because you never know – our last show with Darren on guitar. Mama to perform their 2018 tour show at The Forum Theatre, Saturday 24th February 2018! Four days to go to our next show and tickets are selling fast! If you want one (or indeed several), be sure to grab them now. You can buy tickets to our Forum Theatre show by visiting the theatres online box office.